Being a parent is pretty fun, most of the time. But, I’ll be the first to tell you it ain’t all unicorns and Magnatiles. One minute ticks off the clock. When both kids are finally asleep, Bets and I will stumble downstairs and sometimes, some nights, it’s important to make a cocktail before you even begin to tackle the piles of dishes, toys, and laundry. 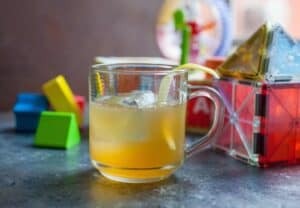 For those nights, I give you this Bourbon Honey Cocktail. It’s almost like a hot toddy, but over ice. It’s completely sip-able, soothing, and requires almost no thought and few ingredients. Relax. The kids are asleep. For now. 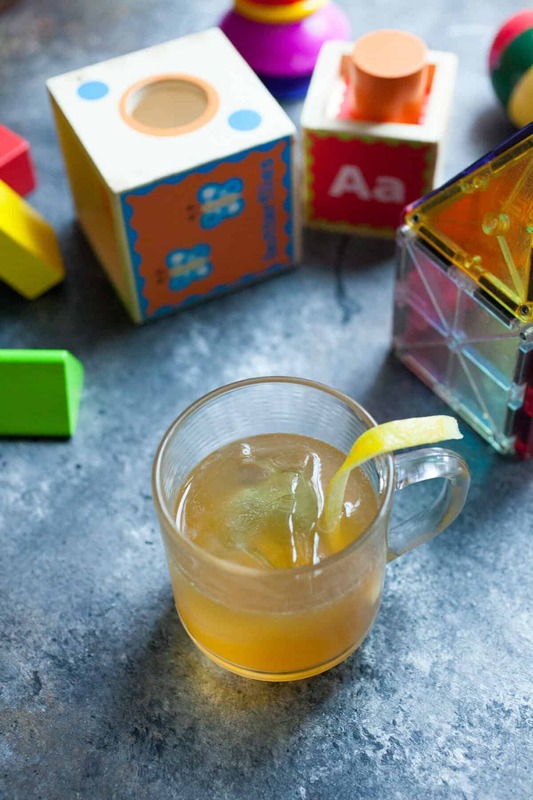 Almost like a hot toddy, but served over ice. Easy to mix up even after a long day and perfect for sipping while cleaning up the day’s mess. 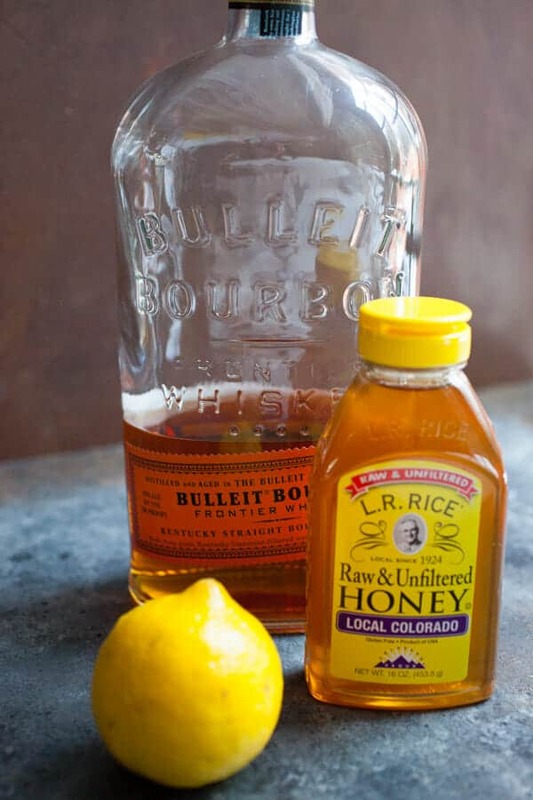 Add bourbon, lemon juice, orange bitters, and honey to a shaker. 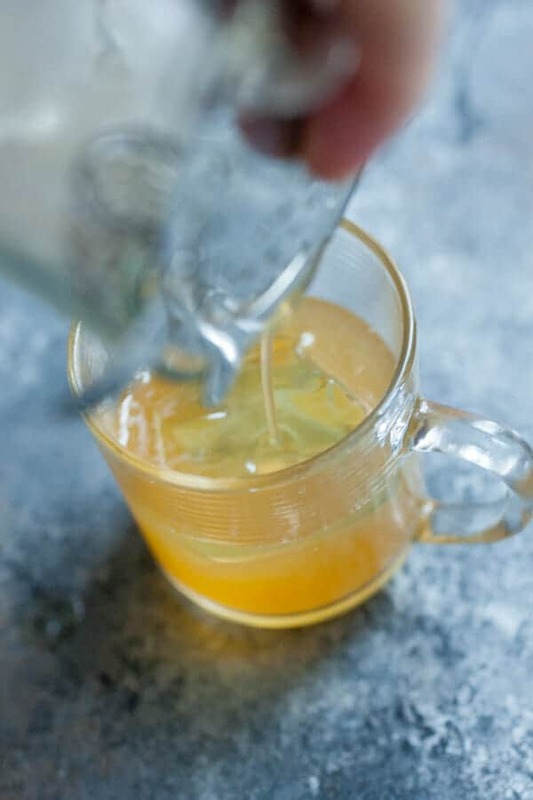 Stir well until honey is completely dissolved. Add ice and shake hard for 30 seconds. Strain into a glass with ice and garnish with a lemon peel slice. The key to this cocktail is it’s simplicity. Use decent bourbon, real honey, and fresh lemon. 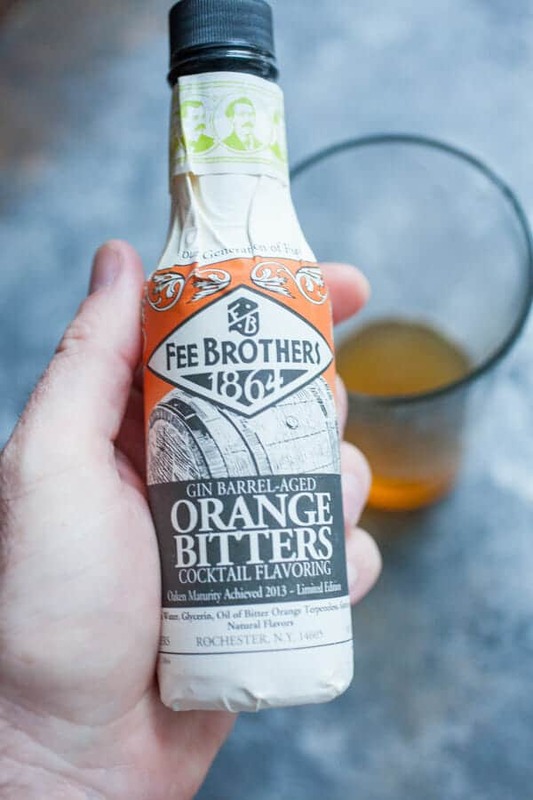 A little dash of orange bitters is a nice touch if you have it, but it’s optional. Stir up all the ingredients really well so the honey dissolves. Then shake vigorously with ice for 30 seconds. That’ll chill the drink well and also water it down a tiny bit, which is good actually. Then strain into a nice cup with cocktail ice if you happen to have it. If you have one of these, you’ll feel like Mary Poppins cleaning up the toys. It never ceases to amaze me how the perfectly timed drink (be it a beer, glass of wine, or a cocktail) can get you through that parenting push at the end of the evening. I’ll try this one the next time one of my kids decides to practice going to the potty somewhere else besides the toilet. My kid peed on the carpet this morning… just because. SIGH… ;) Cheers sir! LOLOL I can completely empathize with this scenario! I’ve also learned to go to bed earlier- because no matter what time I go to bed- the kids still get up at the same time. ;) Slainte. Mmmm… Rum Punch — sticking with the Mary Poppins theme. Even Ms. Poppins needed a little something to get through the day, it seems. This cocktail looks so delicious!! I’m definitely going to try it myself this weekend. Thank you for sharing it! This looks delicious. So nice to see something that’s not pumpkin spiced right now. I should make one and get to bed – my little ones (2 and 4) have decided they should wake earlier since it’s staying dark longer in the mornings. I’ve yet to work that one out. The inner clock of a toddler is a true mystery. ha!